Many people know us for our snowmobile setups which are proven winners and reasonably priced. We do have a good ATV-MX customer base but not as well known in that industry as it's SO watered down vs the SLED world. Not really an apples to apples type of powersport (sled vs atv). The ATV shock pricing structure at most shops is way over priced. 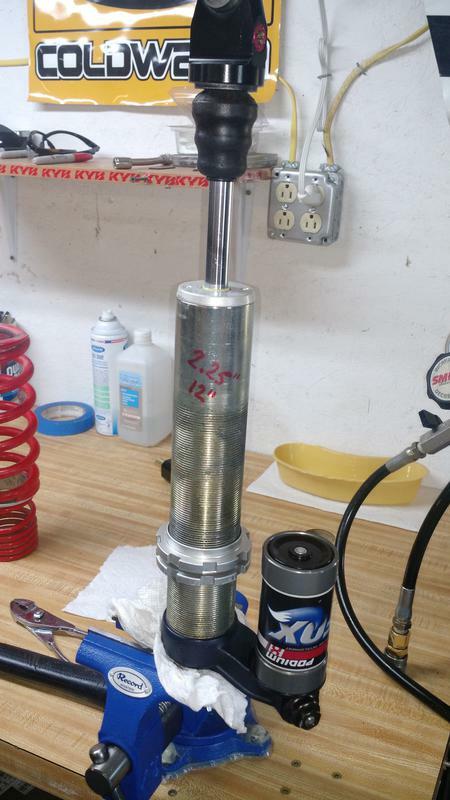 When we service an ATV or MX shock it does take a bit longer so we charge a touch more than our sled pricing BUT not an outrageous price. PLEASE price check us VS other shops, you'll be back I am sure. Just because you pay more doesnt mean you get more, keep that in mind! 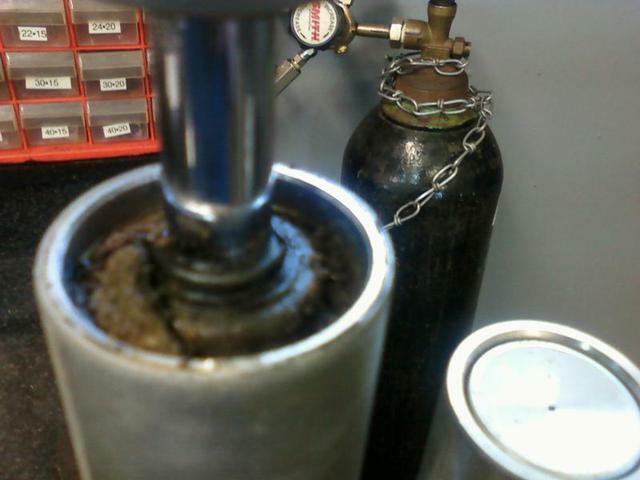 ******** SEAL KITS IF NEEDED ARE EXTRA AND RANGE FROM 25 TO 40 PER SHOCK. *REVALVES SPECIFIC TO YOUR NEEDS BEIT MX, XC OR TRAIL RIDING. I RACED SNO-X FOR YEARS, quad AM and ride a KTM bike. I ENJOY FAST TRAIL RIDING, racing AND A PREDICTABLE SUSPENSION!! 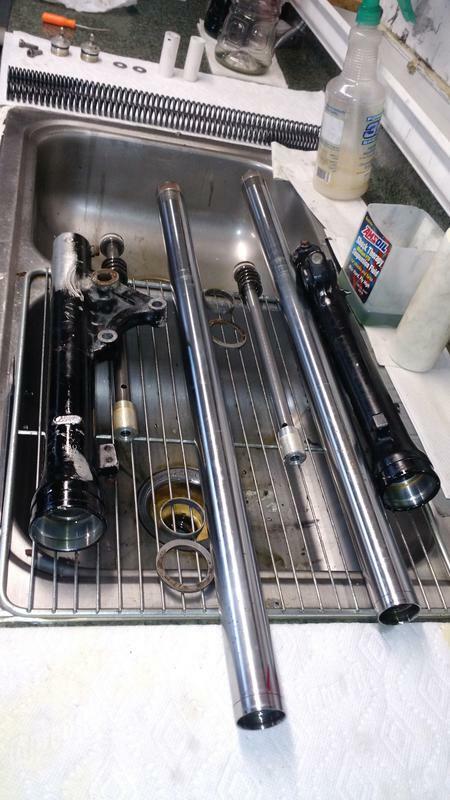 *RETURN YOUR SHOCKS AS CLEAN AS NEW! WE WILL LITERALLY SCRUB THE HARD TO REACH PLACES WITH A TOOTHBRUSH AND CLEAN THEM UP AS BEST AS WE CAN. THERE IS NO FEE FOR THIS UNLESS YOU SEND THEM TO US VERY DIRTY. 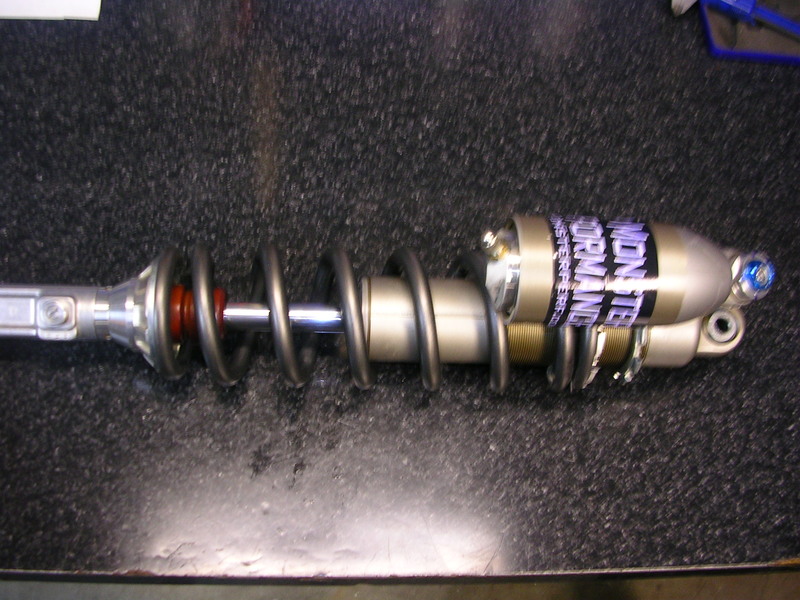 IF YOUR SHOCKS ARE COVERED IN MUD OR SAND AND LOOK LIKE THEY WENT THRU A WAR WE WILL CHARGE $10 PER SHOCK. SO PLEASE HOSE THEM DOWN WELL BEFORE PACKAGING. 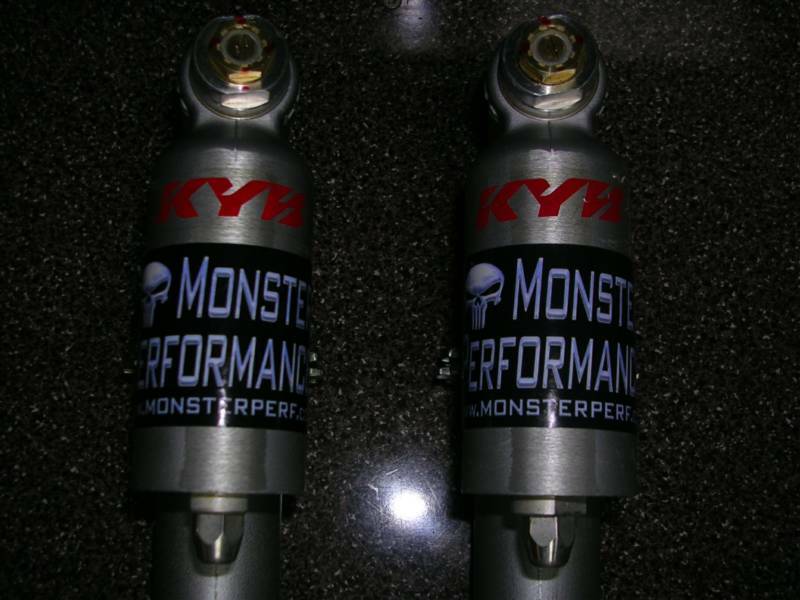 Monster Performance is an official vendor for ZBROZ RACING suspension products. We offer fronts, rears, links, a-arms and suspension accessories for almost all ATV's and the RAZOR, UTV AND SXS MARKET. . The ZBROZ line of shocks work extremely well! The spring combo's, valving sets, finely machined internals and wide adjustment range all reasonable priced are used among top ATV pro's. 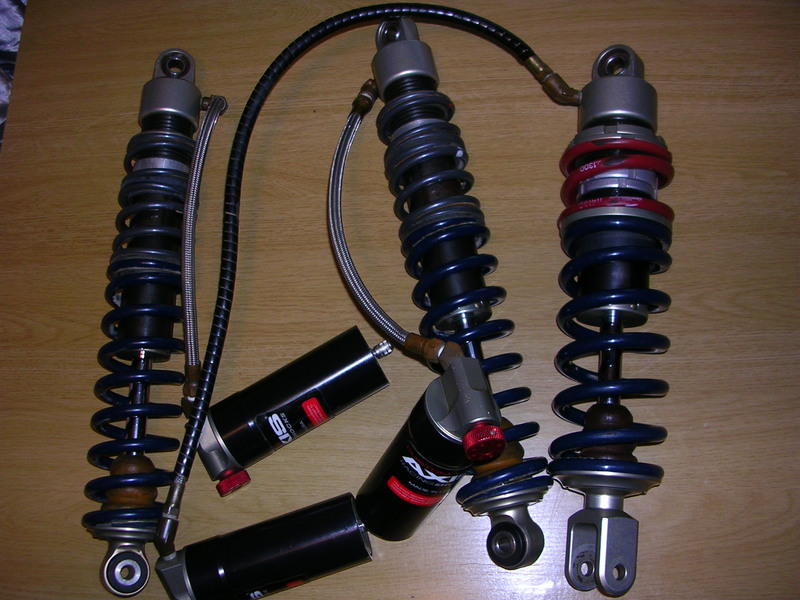 All shocks are specifically made to your needs and come with a ride quality guarantee. Being a top vendor for ZBROZ we can offer package deals and ways to save you money! Below are just some sample pics of fronts, rears and arms for most sport ATV's. PLEASE CONTACT US for special pricing and availability. 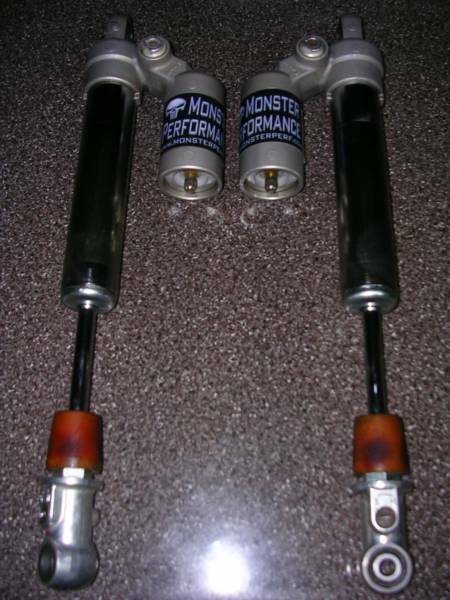 Also, Monster Performance will refund your money back if within 2 weeks you feel that these shocks do not work for you. It's NEVER happened but I stand by that offer becuase I TRULY BELIEVE that you will be blown away at how much better your long travel rear and front will work! We also offer stock travel fronts but almost all rear swing arm shocks are LT with the need for a ZBROZ link, except for some LTR machines. 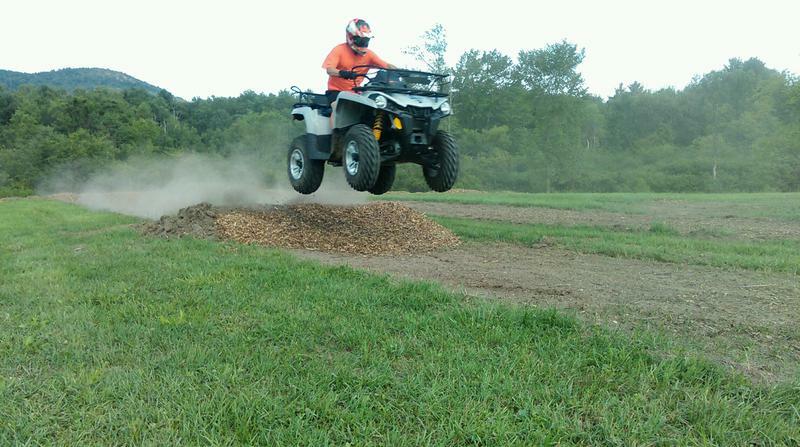 TACKLE THE ROUGH TERRAIN OR THE MX TRACK WITH OUR BLAZE KIT. 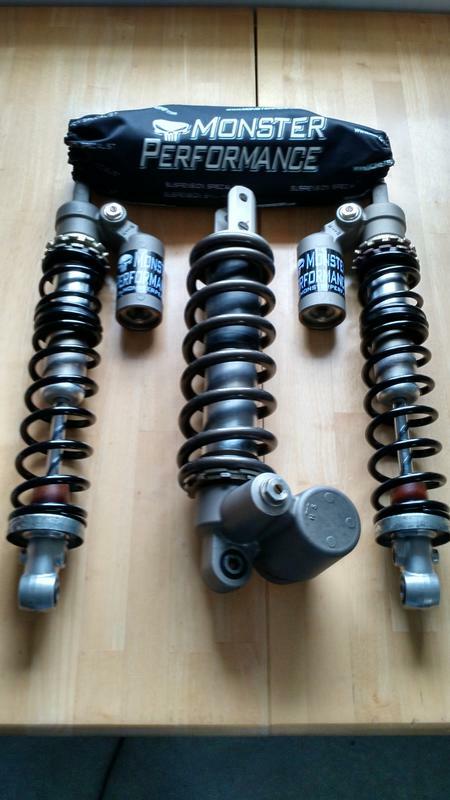 THIS INCLUDES A SERVICE AND REVALVE OF ALL 3 REBUILDABLE SHOWA SHOCKS, DUAL RATE FRONT SPRINGS AND A SOFTER OR MORE APPROPRIATE REAR SPRING. 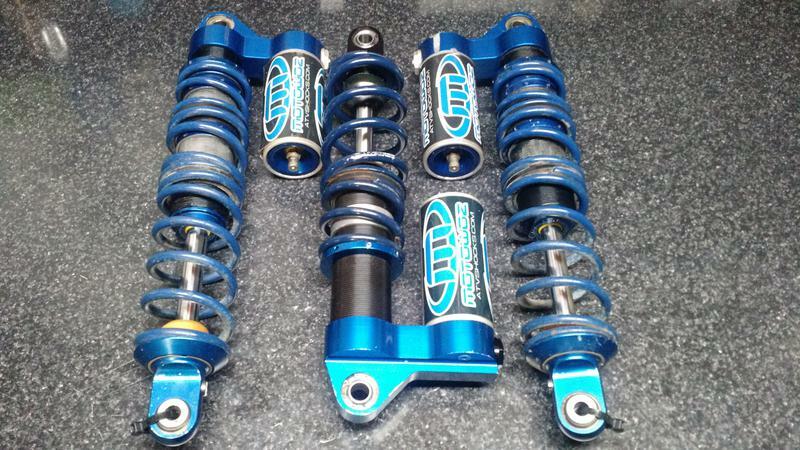 TOTAL COST FOR 3 SHOCKS AND SPRING KITS IS $680!!! 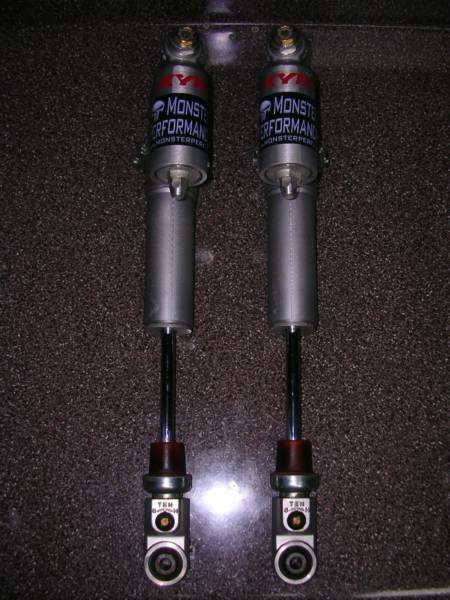 Monster Performance is a leading ELKA sled shock dealer and also can outfit your ATV with ELKA shocks too at very competitive pricing and service after the sale! EMAIL US with your application details for a quote! 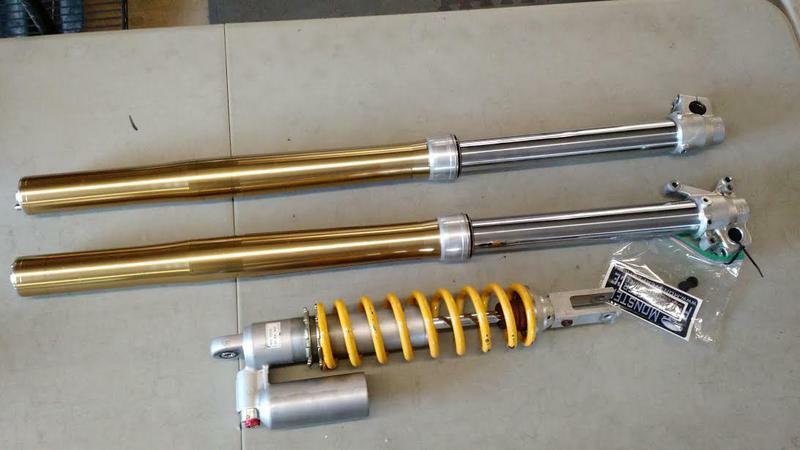 DIRT BIKE FORKS SERVICED AND RESEALED FOR $150 TO $200 PER PAIR DEPENDING ON WHAT TYPE OF BIKE. LOOK AT THE DIRT UNDER ATV WIPER CAPS, ALL TOO COMMON, RUINS SEALS!